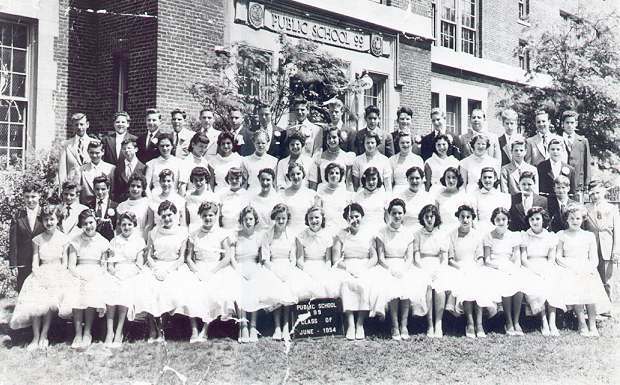 A Picture History of Kew Gardens, NY - Class Pictures - PS99 Graduating Class 1954. The P.S. 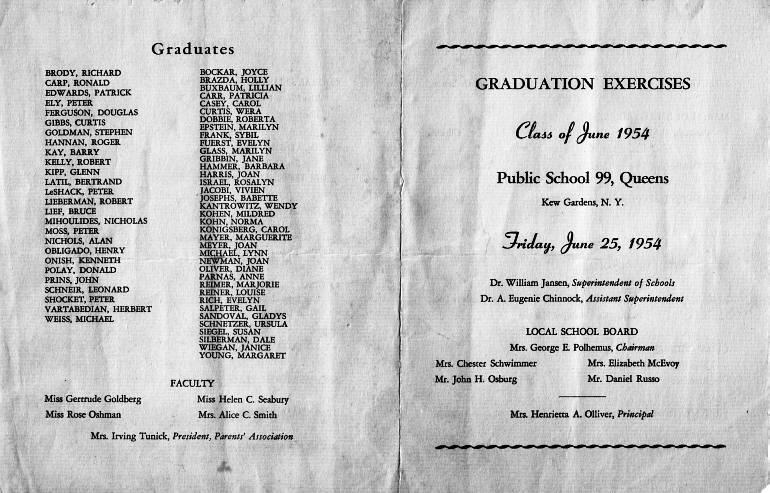 99 graduating class of 1954 courtesy of Lenny Schneir. 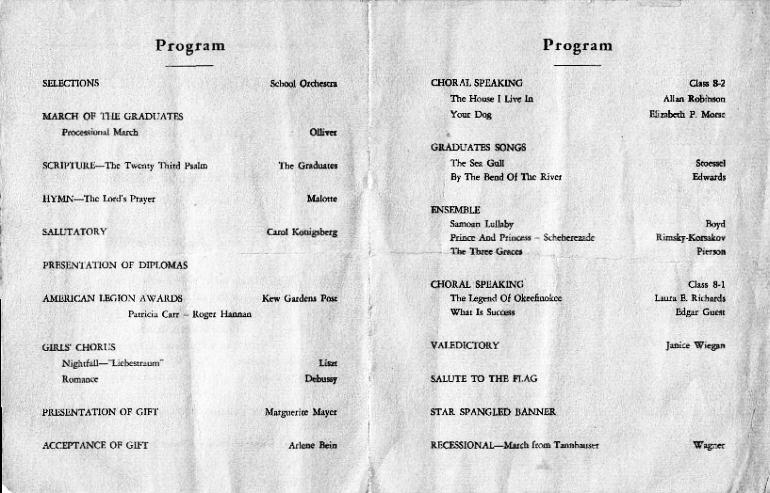 Graduation program courtesy of Anne Parnas Skandera. Student names by Lenny Schneir and Anne Parnas Skandera.